I’ll admit it: I’m picky when it comes to selecting decor for my home. I like a mix of classic & contemporary elements so it feels well- styled & cozy; pretty but not so delicate you ‘re afraid to touch things or sit on the furniture. 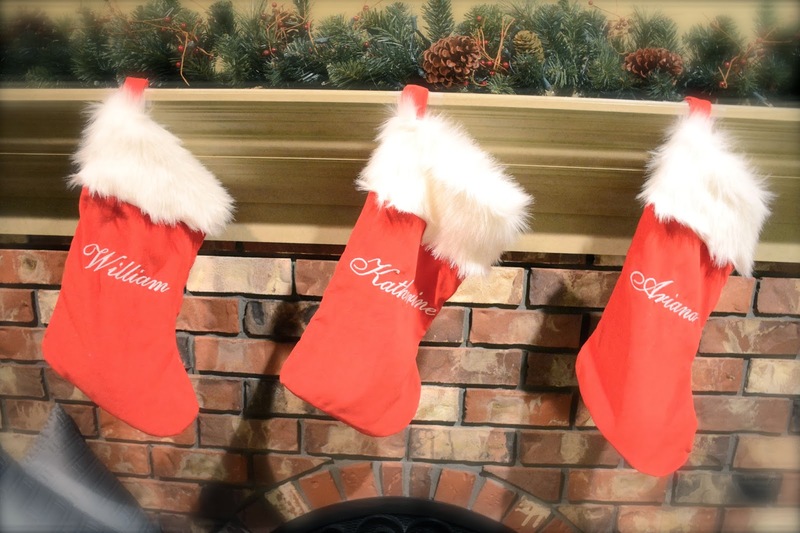 Since this is our first Christmas in our home, I had been toying with the idea of whether to buy or make my own own stockings. I started looking as soon as the stores had their Christmas stock (it’s embarrassing how early I started looking!) and since I wasn’t able to find some that I liked in the price range I was hoping for, I decided the DIY route was the way for me. While I have some basic sewing know- how, I lack in the sewing equipment department; plus my skills are a little rusty. Luckily, I have a sewing savvy friend who not only helped me find the material I needed to make stockings (and helped me cut & sew them! ), she organized instructions & a pattern so my readers can enjoy their own Holiday DIY glory! I ended up making two sets: one silver/ grey and one red (see what I mean about contemporary vs classic? Plus Will requested red when he saw that I was doing a non- traditional colour) ;). You'll see both versions below. 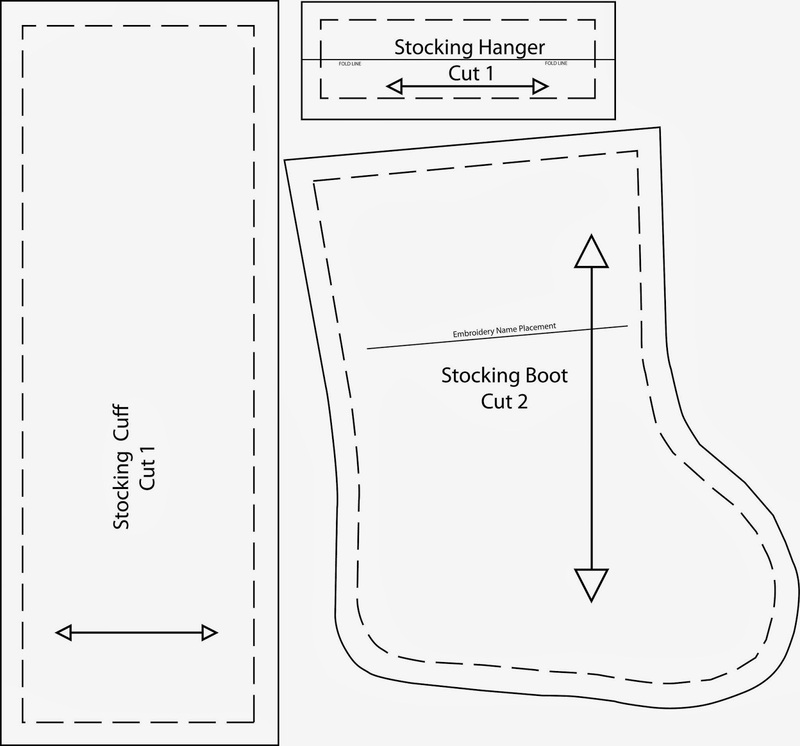 Please note: All seam allowances on this pattern are 1.5 cm or 5/8"
Before starting either embroider the name on the stocking or cut out felt letters and sew them down. We used "Allegro" font, size 140 for the names (alternatively you could attach felt letters with fabric glue after the stocking is completed). Step 1: Cut out the stocking boot & hanger out of velvet; cut the stocking cuff out of fur. serge or zigzag raw edge. Step 3: Flip the stocking so that the right side is now outwards and gently press the velvet with the iron. If you have one, use a velvet board or a fluffy towel to iron (this way you will not damage the velvet pile- whatever you do do not touch the iron directly to the velvet). Step 4: With right sides together sew the small end of the stocking cuff together. Serge or zigzag the raw edge. Step 5: With right sides together (fur and velvet should be facing) place the stocking cuff on top of the stocking boot & sew all the way around (think: when you flip the cuff up, it will be the top of the stocking; it should be like sewing in a circle). Serge or zigzag the raw edge. Flip cuff upwards (see photo below). Step 6: Serge or zigzag the top of the cuff and fold in 1.5 cm; hand sew that edge down so that it will not show on the outside of the fabric. Step 7: Fold the stocking hanger lengthwise so the right sides are together and sew along the long edge. Turn stocking hanger right side out (use a safety pin to help speed this process up) then fold in half and either surge or zigzag the small ends together. Attached to the inside of the stocking cuff along the top. Below is the pattern Celine created for the stockings. If you would like the PDF pattern (which is to size; just print, cut, & paste your pattern together) leave a comment with your email and I'll be happy it send it along for you! Previous Post Coming Soon: Christmas Stocking DIY!